1. Parking & fuel is freaking expensive these days. A trip to the mall can buy me a decent meal at hawker stall. 2. Pushy sales assistant. I can’t count how many times I purchase things I don’t need because of annoying sales assistants. 3. Waste of time. It takes at least one hour for me to get to the mall and back. If I stayed at home for that one hour, I probably could do my laundry, reply 10 emails, change my bed sheet & curtains and write 3 blog posts. 4. I hate the crowd. Somehow, people just hanging out at the mall these days. Meanwhile, I prefer the comfort of staying at home. The list could go on and on. The point is, I hate going out to shop. But I love getting things! That’s why I opt for online shopping. Online shopping is an addiction. But it is a good addiction. It gives me the reason to live for the next 3-5 working days. The joy of receiving parcels full of beauty products is equivalent to the excitement of first date. If you’re an online shopper, you’ll know what I mean. But beware of internet scammers. Always buy from trusty websites. For beauty products, the website that I’m going to recommend to you is Hermo.my. Here are some stuff which I got from Hermo.my..... Laneige Water Sleeping Pack and Yadah Anti Trouble Spot. Review will be up soon! The delivery man came the next day after I placed my orders. I didn’t expect it to be that fast! All the products are carefully sealed in bubble wrap and it comes with a sturdy box. 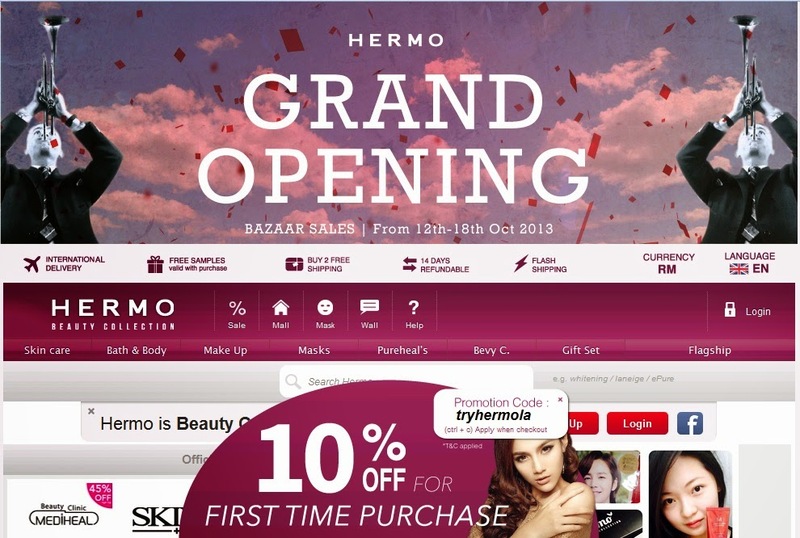 If you want a hassle free shopping experience for beauty products, do head to Hermo.my. 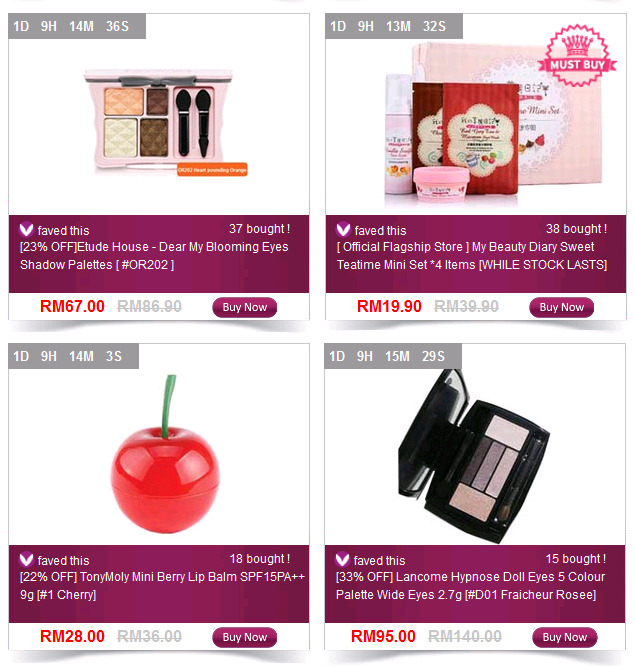 Their flash deals and gift sets are really worth it. Christmas coming soon, my advice is take advantage of all the deals on Hermo.my to save some bucks. Use code tryhermola for 10% off when you purchase for the first time. Hi Jerine, like to read your blog , by the way, can you tell the sleeping mask from Laneige is genuine ? I am thinking to get Laneige item from Hermo long time ago, but worry is not real stuff. Yup. The one I got from Hermo is genuine. I don't think they dare to sell fake stuff so openly online and advertise themselves everywhere. I mean they brand itself will go after them anyway. ahh, new place to spend money. Gosh, now browsing web past midnight is like putting myself through temptation ;) Looks like a good site for beauty supplies.